Riddle: What can fill up 2 cars, leaving only room for the driver? Answer: Handmade items to be brought to the Big E Grange Country Store. I am humbled at the response of our Connecticut Grangers. Your generosity is overwhelming. Please accept my thanks on behalf of all the CWA departments in New England and New York. Cooperation doesn’t just happen, it’s accomplished by determination and hard work. 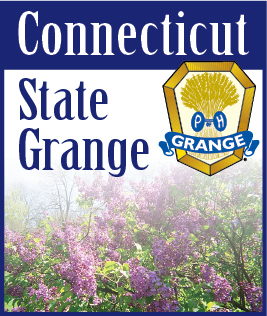 I hope to see many of you at State Session, and look forward to the start of a new Grange year.